When I first took the job of market manager, I was told that I would be the face and spokesperson for the market. Little did I know that I would be doing so many interviews on camera. Nearly every week, Andy Kronquist and his assistant, Leonard, come down to the market with camera and microphone in hand for JATV. We have done our best to interview a wide variety of vendors, customers, non-profits and JFM Board members throughout the market season. Andy then edits each interview into a monthly “Report” to be posted on Youtube. I have to say that I’ve really enjoyed doing the interviews and getting to know some of the vendors and customers a little better. I have also learned quite a bit about doing interviews and being on camera, both from vendor feedback and from my own critical viewing of the reports. For example, Richard Braun, of Braun’s Gardens taught me to look at the person I am interviewing the entire time they are talking. He has had some experience in doing interviews and is also a former JFM Board member. This was very useful feedback, which has improved the appearance of the videos (though my skills are not yet perfect). Andy has also been very helpful. He knows from experience which vendors enjoy being on camera. He also makes us look much better with his skillful editing. 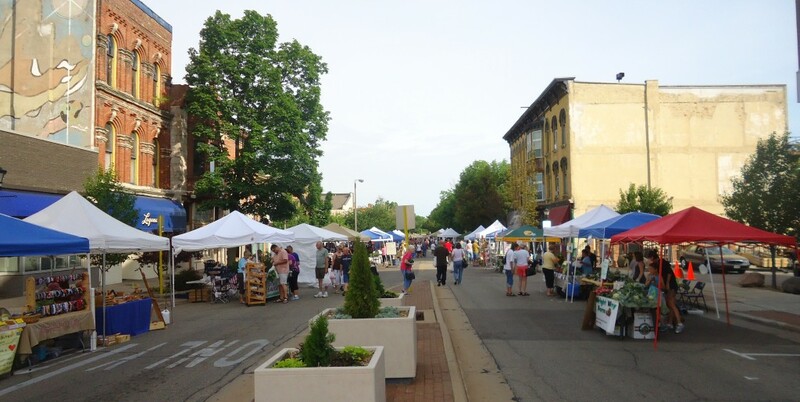 I hope that people find the Janesville Farmers Market Reports to be both fun and informative. I’ve enjoyed helping to make them.